Workshop: Your free do-it-yourself Business Model Tutorial. Part 1: Workshop: Your free do-it-yourself Business Model Tutorial. Part 2: Business Models for Team Workers. Part 3: Business Models for Analysts and Programmers. Part 4: Business Models for Founders and Platform Builders. Part 5: Business Models for Explorers, Scientists, and NGO campaigners. Part 6: Business Model: Participative Teamworking. An easy Starter. Dynamic Applications. Product and Feature Matrix. How it works, in detail. How to go on. Introduction to Balanced Scorecards. Today, You are on Page one (1). It’s a work in progress. at Dynamic Applications, we’ll let you choose exactly that. you’ll not only choose the perfect business model, here. You’ll also get a pretty handsome business planner, which will allow you to optimized your very own company, on the spot. It can calculate any 48-month business model, verifiable with a pocket calculator, for free. You want to contribute? – Pay with a Tweet. Add your idea. Share your thoughts. Feedback us. Make more of it. This way, you help us to address a central platform requirement. Visibility. For a platform builder, visibility means survival. Sharing is caring. Good news is you get the whole thing for free, in all its evolving beauty. Startup Product Manager v2.56, showing a simple Fixed Price business model: a bakery. At Dynamic Applications, in offering Business Model Calculations, we have a tradition in offering outstanding business cases to our customers, as a general habit. This means nothing less than that you get excellent value for money. We’re not saying this article, or even our software, are best of it’s kind, here. Not at all. We’re saying it’s good, as it can do its job of business case development, even of do-it-yourself business model optimization very well, it’s a work in progress, it’s getting better over time, and it’s free. And that’s part of our company culture, founded on the Ethics of Sharing Economy. In this tutorial, we’ll show you around quite a collection of proven business samples, from traditional to 21st century business models, from famous companies around the world. We recommend to read yourself through it, and then, select your perfect combination. As worldwide markets benefit from diversity of participants, it’s important to note here that the perfect combination of a company will be founded on your values, your culture, and your personality. Don’t worry, after this Workshop, you’ll understand all of these in detail. There’s a name for this Business Model, as a whole: it’s The Market Maker. about 21st century Team Workers. an Introductory Example. The Market Maker. We don’t build simple business plans, here. We allow you to build, and even to sell, your own business planners. What we do here is to take any single business idea we’ve already developed, and as soon as we see it works, we’re digitalizing that very one. Then, we add it to all our Dynamic Applications, free of charge. This very workshop is going to be available from the Tuturials menu, for free. See? – in being platform developers, we have to target exponential growth. Otherwise, we could never make the price. So we constantly contribute to our offering, without raising the price. We make our solution more attractive, over time. every day. Logic says we’re going to expand, worldwide, one day. Alternatively, we go bankrupt. Ok, so that’s pretty much all you need to know about The Market Maker. Dynamic Applications. Success is much about developing a better world, every day. Your world. Market Maker. Target Maker. Round-up. At Dynamic Applications, we say that it’s always worth a thought to prove that you have understood your own concept. We’ve chosen the slogan Business Model Calculations to describe us, top of the page. And so, we offer excellent business cases to all our customers. This way, we create Trust, an unbelievably worthful target, over time. Just do it. Then, we publish what we are going to turn the crap into, and make ourselves the absolute laugh of the neighborhood, our very own future SocialMedia fan crowd. Finally, apart from getting the whole thing to work, we target things like excellence, beauty, usability, simplicity, and reduction. We target mass adoption. We target to automate exactly the most profitable benefit that could earn ourselves a dime already, and make that very thing available to our Socialmedia fan crowd free of charge, as some kind of general behavior. That you can make that one, yourself. As you’ve found your Target. Finally, you know what you want to do. Think about how we try to build trust in our own offering. Would you think that our behaviour, your target, your promise, could be an idea to succeed? In that case, you may want to check out the platform builder business model, as well. If not, take any other model as you need, and leave the hard road for us. We just provide the tool here, you know. A swiss pocket knife in business planning and value-for-money optimization over time. That’s pretty much all it can do. Feel free to copy any idea within our offering, and adapt it to your own business model. The clue is to inspire. Never steal the code. Write your own website in your own words. This way, it’s legal, it’s free, and it’s good for SEO (Search Engine Optimization) as all the Google Robots are going to say it’s unique, new content. How do you like that? And so, we’re sure that You will find out pretty soon where you could need our Tools for. That understood, let’s start the Workshop. Dynamic Applications. Reflection, Options, Targets. Dedication, Passion, Values. Innovation. Step 1: check Your Personality. From our perspective, there is no “standard” company in the world. Why did you think that we the people are all different? – and so are our companies, right? In 21st century, it’s our company culture that separates us from any competition out there. The one very thing that copy-cats always tend to forget, looking for easy money. As our culture defines the principles we are funded upon, how successful we’ll handle any incoming customer request, in all their variety, and where we’re heading towards over time. Whatever happens, your company culture defines a successful path for your business. For the rest of your life. (1.) Your first Task for today is to identify yourself within four basic personalities. Take a look at the following picture, which is based about a simple identify-yourself methodology called the Social Styles Model. You’ll see 2 axes, defining 4 typical people. Remember that it’s very important to identify your personal strengths and weaknesses. In being Founders, we concentrate on your strengths, Young Modeler. Our Unique Selling Points. So let’s define your very own USP, today. Social Behavior Model – Menschen und Kultur. The small icons are from a more fine-grained personality test called the Belbin Team-Role Test. You can download the Belbin’s query (de) and fill it in. German Wikipedia has an excellent explanation on strengths and weaknesses for these roles, here (read afterwards). In being 21st century founders, we address our weakness by outsourcing tasks to the crowd, or in buying automated tools for things we can’t do well. We have to concentrate on our strength, in all it’s beauty. If you don’t concentrate on your strenghts, you’ll end up in the middle of normality. Consequences are lack of self-confidence, under-performing, boredom, lack of customer enthusiasm, de-motivation, invisibility, and low income. You find it a little strange that we verify your selection even before your company idea, your game of life has even started? – but, take a second and think about the consequences! As we all know, selecting the wrong company idea for you, our customer, will not only mean that you’ll find our advice not any useful. No, even worse, you may even select a SocialMedia channel of your choice, and create a posting that Dynamic Applications have no idea about what we’re doing! A customer criticizing our core business, our core knowledge. Uuuugh. (2.) Identify yourself in the following Target table. Does it fit your behaviour, well? Step 3: Check your Choice. a) that’s not you, in the table? – go back to Step 1 and choose your preferred role. b) gotcha? – ok, fine! Read on. c) you’re sad in that you know who you are, only you wish to be someone else? In being a Founder, or Foundress of 21st century, from today, no target is too high for you. No wall is to tall to climb, and if there was any burden, today, we just throw it in the garbage bin for you. Be anyone you wish, what are you waiting for? No big boss is ever again going to come back to you and tell you that you can’t go that way. Your Customers, Partners and Competition surely will try to, frequently. The only difference is that it’s completely up to you to decide whether you want to listen to them, or not. So, even in case (c), we got an answer for you. Imagine to be a …………. for a day. we continue with the final step. Step 4: Business Model identification. Click here to enlarge the picture. It’s an important picture, so take a close look at all its condensed info. Take the time, click on that link above, and check out a few 21st century Business Models matching your Personality of choice. The table lists not only typical Jobs you’ve seen before, it also identifies your Needs, your Competition, a hint what to Take care about, your business advantage (+), and your business challenge (-), as it comes with everything. There are a few more details to note. For example, while the typical Scientist is looking for a genious idea, the platform builder has got a genious idea, that’s why they build a platform upon it. And while the servicing consultant dreams of a wealthy client, the scientist can reach them, easily. The analyst is looking for excellent Tools, the platform builder builds some. The platform builder needs visibility, all others can increase it. That’s a win-win-win. Platform Builder, Scientist’s Expertise, Analyst (Tool). Platform Builder, Consultant, Customers (Users). Analyst, Scientist, Consultant, Award (Expertise). Scientist, Award, Team worker, Wealthy client (Need). This way, we start to identify business requirements. We start to identify True values. One of the most important things to note in business is that You can not sell when there’s no need. So to be a successful founder our foundress, think about any need in this world you’d like to solve. First thought is your best bet, but you can of course sleep over it. To conclude, in being a founder, don’t expect any help. Never explain, never complain. As soon as people see how you help them, you’ll have friends. As soon as you have friends who come by to address their needs on a regular basis, start thinking about selling your works at a really fair price. Best price you can make. Most successful companies in the world, Tesla Motors for example, use System Dynamics business simulations to offer best price they can make from day one, ahead of time. Ever thought about that name for their newest car, World Model III? – see Wikipedia about System Dynamics for more. So that very name is a strong reference to the method the use. At Dynamic Applications, we teach you about how to use exactly that same method. System Dynamics is the basis of our application platform, of all our simulation models. It’s nothing new, you know. Scientists have been using it for years. Our one-and-only point here is that we make this avaiable to the public, free of charge. We target mass adoption. So many different people out there, so many questions. Typical for a Market Maker, which is much about the same as a Platform builder, which is much about Dynamic Applications. Ok, you got questions, here we go. We said that. That’s a nice word. You could also call us a dirty old crap trader. In the ages of 21st century, where everyone is heading for Facebook and Snapchat and all that fancy new SocialMedia networks, where your newest friends are telling you a lot about their reality, we read ourselves through the garbage hills of Wikipedia and even (blush) a few printed books. Yes, the ones from 20th century, paper and stuff. It’s not so boring once you’re into it, and found out how to dig for interesting content. We take any content we find interesting, a little research from Google here, and there, and finally, as well, we write our Tutorials, in our own words. We’re no copycats, though. In researching Wikipedia, we educate ourselves. We use it to create excellent e-Learning applications, and we write our articles just from memories. We write from understanding. We’re poor. We’re crap. We’re outsiders. We’re visionaires. We’re founders. But our thoughts are free. As well. In 21st century, age of International Networks, age of surplus information – who said our thoughts are worse than anyone else’s? – Think about how creativity and innovation are defined. A Combination of Thoughts. We’re combining knowledge with our intuition for a better world. At Dynamic Applications, we’re builders. In our dreams, the small dreams of a 21st century founder, we sleep, for free. As well. You’ll see. We got friends, as well. Over the sea. They’re living all over the sea. And you wouldn’t believe how fast we’re connecting, that one day. Dynamic Applications. about True innovation. Freeware Solutions for the 21st century builder, for people from all over the world. Depending on your choice, go to the next page, to check out your business, accordingly. Part 1: Workshop: Your free do-it-yourself Success Planner Tutorial. 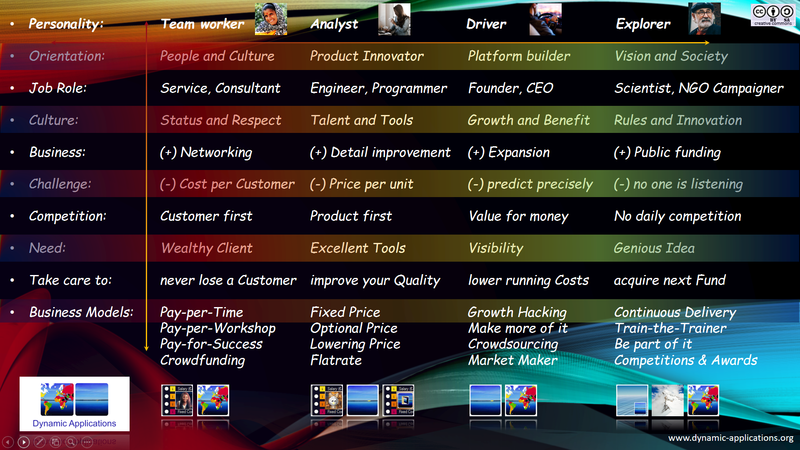 => Part 2: Business Models for Team Workers. How it works. How to go on. Introduction to Balanced Scorecards. Finally, select your perfect 48-month business planner, free of charge. See our Products Menu for more. All Applications are free to use, 99 ct after one (1) year of successful usage. Startup 2020 – book a Workshop with Martin Bernhardt. Thank you for choosing Dynamic Applications. – Comment section is open.